Are you looking for a souvenir from Mataró? A special gift? Or maybe a unique treat for yourself? At Botiga a Mataró at the Tourism Office, you will find plenty of items with an offbeat touch. Since March 2018, the Mataró Tourist Office has held Biosphere certification. This is a sustainable tourism award granted by the Responsible Tourism Institute to tourist companies and destinations. 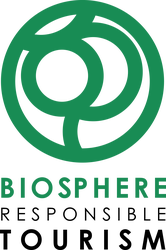 Biosphere is renowned internationally and promotes sustainable management, environmental conservation, protection of cultures, socio-economic development and customer satisfaction, among many other aspects.